How Serious is Falling Among the Elderly? According to the Center for Disease Control and Prevention (CDC), one in four adults aged 65+ falls each year. And, one in five of these falls causes a serious injury. 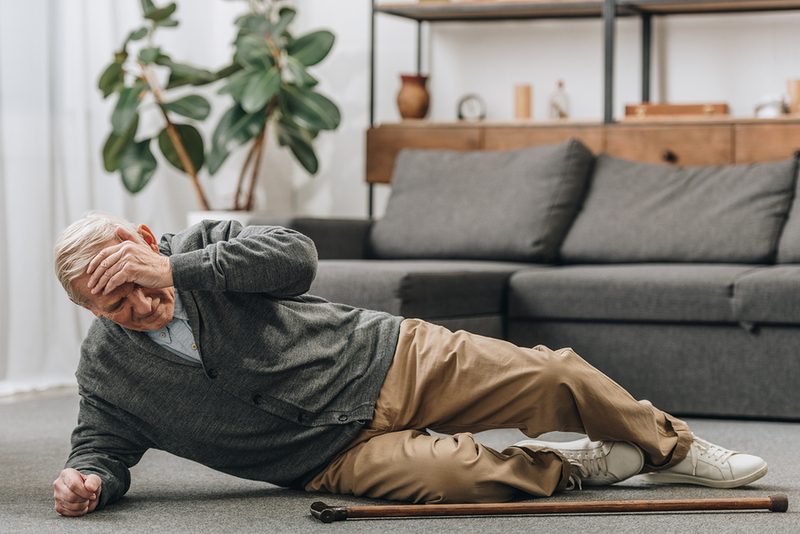 With the added risk of frailer bones, these falls can cause horrific injuries in the elderly. This is why it’s important to understand certain risk factors that make falling more likely. Once you know these risk factors, you can understand the safety tips to avoid any injury. A variety of health conditions can throw off balance in the elderly. Consequently, this makes it more likely for them to fall. There are also medications for certain health conditions that cause dizziness or weakness. Thus, being aware of this is crucial to being proactive and taking steps to avoid falling. Though a natural part of aging, worsening vision can make it more difficult to make out certain steps or stairs. In turn, this makes falling much more likely. In conjunction with poor vision, poor lighting makes it harder to see where you are stepping. Because of this, you can trip on steps or stray objects. Stairs are dangerous and a cause of falling among any age group. Stairs become especially hazardous in those with impaired movement or vision. Even a little piece of flooring or carpeting can create a big hazard. All it takes is a small piece of clothing or a shoe to snag on the loose flooring to fall. Making sure you are always wearing your glasses or corrective lenses. Being aware of when you take medication that makes you weak or dizzy. Taking medication for balance impairments, if this is a necessary part of your medical routine. Having handrails in easily accessible locations in and around the home (Especially in places like the shower and around steps and stairs). Fixing up any loose carpeting or flooring that isn’t even with the floor. We at Homecare by AUAF care about your well being. Therefore, we want you to be informed about the risk factors as you or your loved one age. If you have any questions about what we do or how our in-home care can be of service, give us a call at 877.721.6710.